One of the anecdotes related says that while Maharishi Veda Vyasa was instructed by Gods to write the epic Mahabharata, he wanted it to be written by the most well-read person. Maharishi was then suggested by Lord Brahma to incarnate lord Shiva to seek permission to let his beloved son Ganesh help him pen down the epic. While Lord Shiva agreed, Ganesh put up a condition to write down the epic. The condition was that once he begins to write the epic, there should be no intervention or pause until the epic is completed, otherwise he would give away writing the text right then and there. This meant that sage Vyasa shouldn’t take any breaks during his recital. In response to Ganesh’s condition Vyasa answered that while he recites in continuation, Ganesh should be able to interpret and understand each hymn recited. Assuming that while Ganesh will interpret the hymn, he will get some time to rest his tongue. 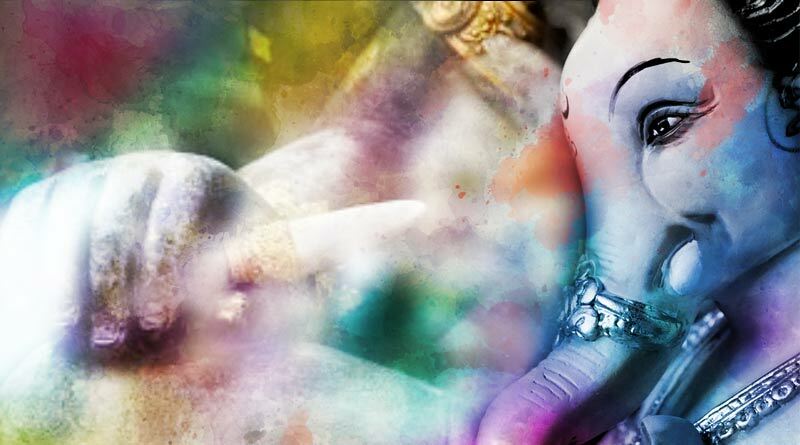 Contrary to Vyasa’s expectations, Ganesh knew the hymns and their interpretation well before he wrote them, but his pen (then used feathers dipped in ink) started to taper down. To keep his words, Ganesh pulled off his left tusk and used it as a pen and finished off with writing of the epic Mahabharata. Another legend that reasons the broken tusk mystery is that when once Sage Parashurama, who was Lord Vishnu’s sixth avatar, came to visit Shiva on Mount Kailash (Shiva’s abode) to share his win against Kartavirya Arjun. His way was blocked by Ganesh, as his parents, Shiva and Parvathi were sleeping and hence no one should break in. Parashurama felt offended and started battling with Ganesh. Ganesh being Ganesh, was said to have been winning the fight, however, when Parashurama threw away his axe attacking towards him, Ganesh received the blow intentionally at his tusk, resulting it to be broken off, because the axe was his father, Shiva’s gift to the sage and its attack couldn’t go in vain, hence sacrificing his own tusk. 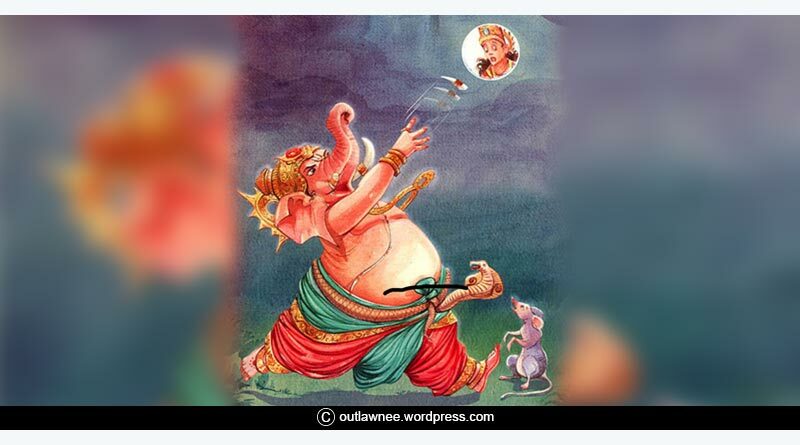 Another famous myth that is attached to the missing tusk is that while once Ganesh was returning from a feast on his vehicle mouse, it went about in the bush chasing a snake while Ganesh faltered and ripped off his belly, at which the Moon started to mock off. Upset Ganesh lifted his pot belly and tied it with the same snake, attacked the moon with his tusk and cursed him to go all black and not to be seen again. The moon, then asking for forgiveness, was granted to wane and wax in a rotation, but anyone who looks at the moon on his birthday which is celebrated as Ganesh Chaturthi, will not be able to attain salvation or Moksha. Hence looking at the moon on this day is considered inauspicious. These are the three most famous Legends behind Lord Ganesh’s Broken Tusk, we at Tentaran hope that Ganesh showers his blessings on us all.